People from all over the world use our directory and search engine to find quality websites in our easy to use directory and search engine. Enjoy! 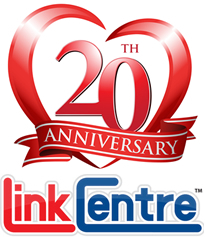 The Link Centre Directory and Search Engine is celebrating over 20 years online. 582,696 people use Link Centre to promote 665,850 websites. Add your website today and see why they think we are one of the best. "One of the best directory submission sites." "Very Nice. 23 years of service it means a lot"
"Great. Always loved this website." "great keep it up. (y)"
"Great to be listed on here." "I am have been using linkcentre for a long time and getting good results." "Great job for business listing"